A short HORDES novella I wrote with Privateer Press colleague William Shick. The dragons are on the move, and Caen bleeds. Two servants of the ancient Circle Orboros—the young druid Caelan the Waykeeper and the monstrous warpwolf Rochlof—have been tasked with uncovering the source of corruption in Caen’s ley lines, vital rivers of natural power flowing beneath the world. For reasons unknown, Immoren’s mightiest creatures, the dragons, have begun to leave lasting scars across the war-torn face of Caen, obliterating anything that stands in their way. The movements of these living catastrophes may be at the heart of the corruption. 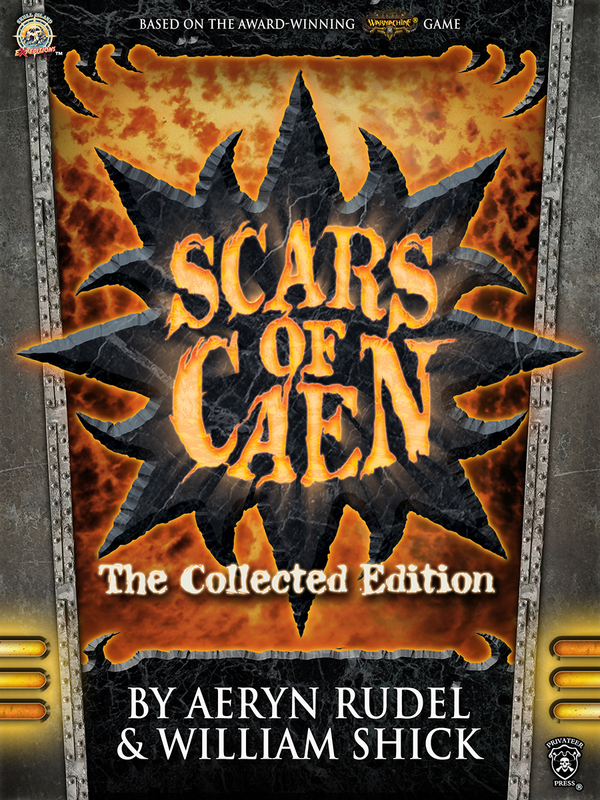 Caelan and Rochlof’s mission to halt the fouling of Caen’s ley lines and reveal the dragons’ machinations will be tested at every turn. For within the Circle Orboros itself, hidden agendas of powerful warlocks may threaten Caelan and Rochlof’s vital task—and even their very lives.